In 1982, our family started working with a wonderful vineyard on Ehlers Lane. It was owned by Bill and Marcia Manker, a dignified and gracious couple. Bill Manker was an interior designer, and directed the design work when we built The Jefferson House at Monticello Vineyards in 1984. He made several visits to Thomas Jefferson’s Monticello in Charlottesville, to ensure that we got the colors and styling correct. As a result of Mr. Manker’s dedication to detail, all of the rooms in The Jefferson House are consistent with the décor in Jefferson’s Monticello. The Mankers were a delightful couple and fantastic stewards of the land, but eventually Bill and Marcia passed on, and the time came that the property changed hands, then another wonderful couple came into our lives. Dave and Nancy Yewell purchased the vineyard in the late 1990s, and put some TLC into the property, rebuilding the residence, and replanting the vineyard in 2000. We chose Clone 337, and the row orientation was shifted to East-West, previously it had been North-South. The vineyard is trained on bilateral cordons. 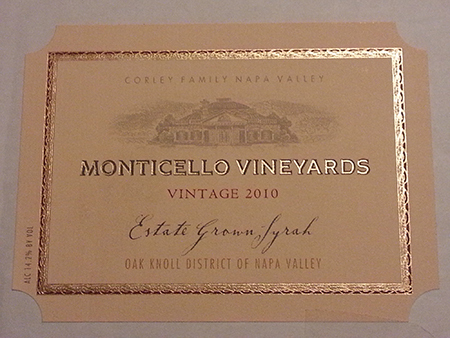 After a few vintages of developing the vines, the vineyard was producing very nice wines by 2003, and 2004. A big decision came for us in determining which vintage we wanted to re-debut this vineyard with. 2004 was a hot, early season, and although the wine was very nice, we didn’t think it was representative of the best that the vineyard could produce. 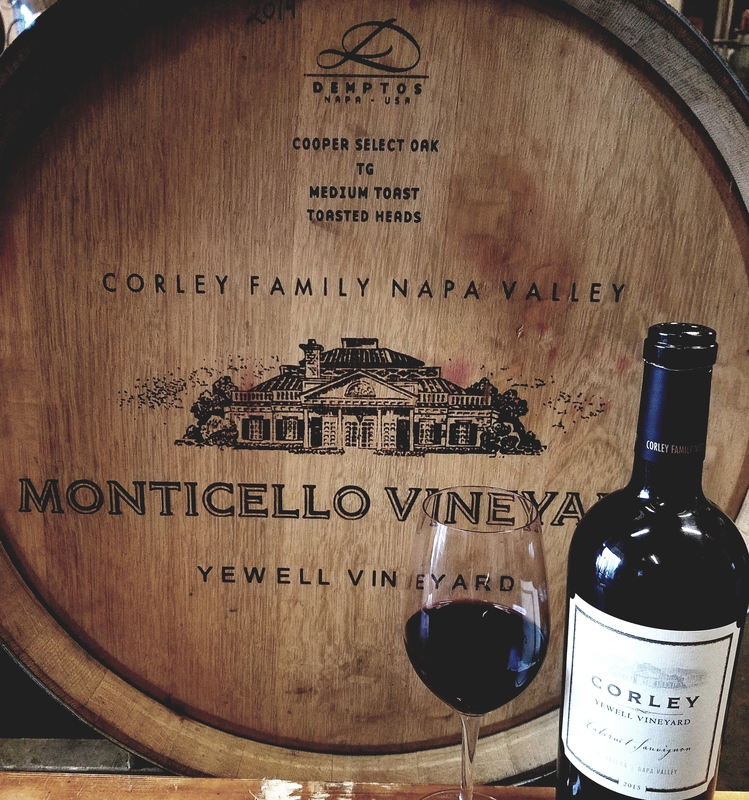 The 2005 was fantastic, but by the time we were ready to make a designation decision, we already had 2006 in barrel, and I felt that was even better. So we remained patient, and re-debuted the vineyard with the 2006 vintage, now known as Yewell Vineyard. I’m proud of every vintage of Yewell Vineyard we’ve produced since 2006. All of the bottlings of this single vineyard designate have ranged between 5-10 barrels, roughly 125-250 cases. Our upcoming release of Vintage 2015 is a beautiful wine, and will be a special club release for our Wine Clubs this month. In 2015, we produced just 5 barrels of this single vineyard designate. As is typical for this vineyard, the aromas are ripe, dark berry fruit with hints of spice. The wine is aged in French oak barrels for 28 months, roughly 50% new, imparting a moderate flair of oak aroma and flavor and a hint of creaminess. On the palate, the wine is rich but with a nice framework of tannin that will allow this win e to age gracefully for 20+ years. There are fourteen rows of grapevines on the southernmost side of Block 3 in The Monticello Vineyard. Originally planted about 20 years ago, these Pinot Noir vines were a primary component in our Monticello ‘Estate Grown’ Pinot Noir bottlings for many years. 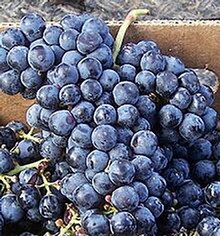 Specifically, they were a sub-designation of Pinot Noir known as Clone 115. Over the years, we always enjoyed the slightly darker berry aromas and flavors and fuller body that the wines displayed from these grapes. As these things tend to do over decades, our vineyard blocks have evolved. With additional Pinot Noir planted in another block, we set our eyes on the aforementioned fourteen rows as a nice location for a wonderful new source of Chardonnay. Rather than tear out our beloved Pinot Noir vines for replanting, we chose to keep them in service. We cut the trunks and grafted the new Chardonnay Clone 95 onto the Pinot Noir trunks. Grafting is a fairly straightforward viticultural technique, employed when the grower is interested in a varietal shift with minimal downtime. It requires a skilled grafter, and good seasonal timing. When done properly there is a high percentage of success. Perhaps straightforward, and with a high rate of success, it is nonetheless really amazing. I walk through these fourteen rows regularly. I spend enough time in these vines, I should be jaded to this kind of stuff, but I’m not. I still find it incredible. In these fourteen rows, we have vines that are themselves a mélange of plant material. The rootstocks in the ground are of American origin, so that they can resist the natural soil pests. The trunks are French, Pinot Noir Clone 115. 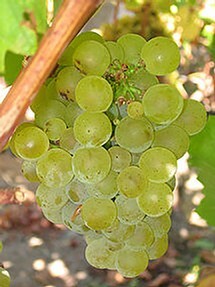 The top of the vine, bearing the fruit, is now Chardonnay Clone 95. Over time, these three plants have coalesced, they are now one. It takes a seasoned eye to see the graft unions. While the graft unions may be difficult to see, the quality of the wine is easy to understand. Chardonnay Clone 95 has long been one of our favorites. We grew this clone in Block 6 towards the back of the property for years. It was an easy choice for these fourteen rows in Block 3. We love the rich texture that is counterbalanced with fresh acidity. We love the tropical fruit character that is framed with nuances of citrus tones. 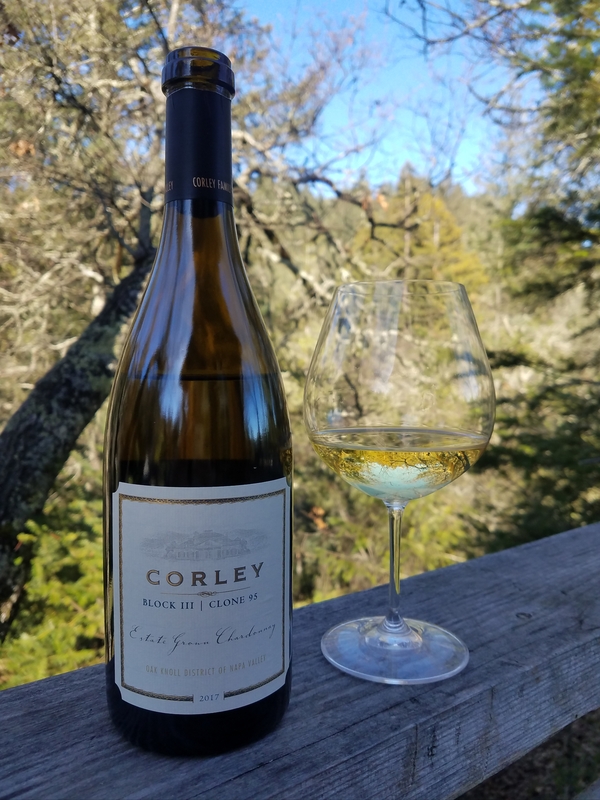 This month, we’re excited to be releasing our CORLEY 2017 Chardonnay ‘Block 3, Clone 95’. This wine is made entirely from these fourteen rows of vines. From this batch, we selected six specific barrels for the final bottling that we felt best represented this special section. The grapes were crushed and soaked on the skins for eight hours prior to pressing into barrels for fermentation. The skin soak is an old-school nod to our winemaking techniques that were in place in 1990 when I started working in the cellar. Soaking the skins helps us to extract more aromas, flavors and textures prior to pressing the juice for fermentation. Fermented and aged in barrels for 10 months prior to bottling, we’re very excited to be releasing and sharing this wine with you. This wine has wonderful and expressive aromas of tropical fruits like mango, melon and fig. These are balanced with light citrus tones. There is a light creaminess and a hint of butterscotch from the French oak barrels and partial malolactic fermentation. On the palate the wine is rich, with a light beam of fesh acidity. There are lots of ways for a winery to measure its success. 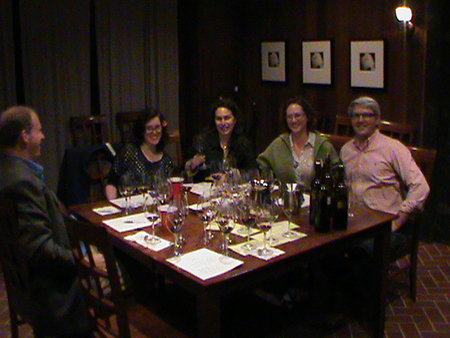 High ratings and positive reviews provide feedback on wine quality. 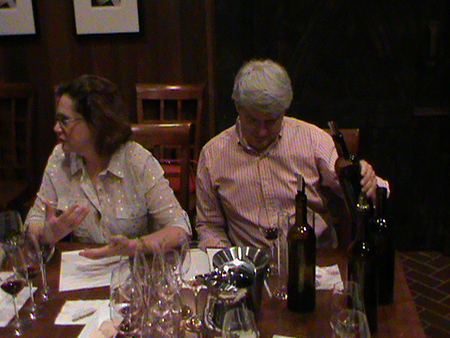 Sales of individual wines and customer comments also create a dialogue between the producer and the consumer. Gross revenue, profit margins, case sales by geographical region and percentage of sales direct from winery are some of the many metrics that we track to measure how we are doing. Some other important measures that we keep track of may be somewhat unique to a winery of our small size. Employee retention, for instance, is very important to us. We have a few staff members that have been with Monticello for over 30 years, several for over 20 years, and a large number of staff that has been with us longer than 10 years. Our newest member on the production staff has been with us for 7 vintages. These are important numbers to us. Employee retention extends our family at the winery. Along that line, family involvement is another measure. We currently have five family members working full time at the winery, covering the four main areas of grapegrowing, winemaking, sales and administration. 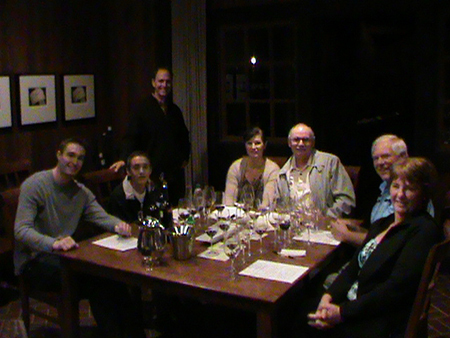 This is also very important to us as a family-owned estate winery. All that said, we sometimes can condense our goals into somewhat more simple terms. We strive to make great wine and sell it at a fair price.